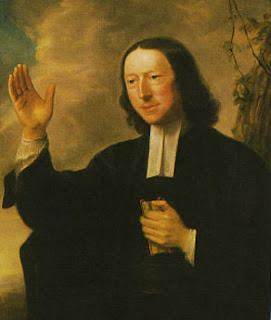 John Wesley's father, Samuel, was a dedicated pastor, but there were those in his parish who did not like him. On February 9, 1709, a fire broke out in the rectory at Epworth, possibly set by one of the rector's enemies. Young John, not yet six years old, was stranded on an upper floor of the building. Two neighbors rescued the lad just seconds before the roof crashed in. One neighbor stood on the other's shoulders and pulled young John through the window. Samuel Wesley said, "Come, neighbors, let us kneel down. Let us give thanks to God. He has given me all my eight children. Let the house go. I am rich enough." John Wesley often referred to himself as a "brand plucked out of the fire" (Zecheriah 3:2; Amos 4:11). In later years he often noted February 9 in his journal and gave thanks to God for His mercy. Samuel Wesley labored for 40 years at Epworth and saw very little fruit; but consider what his family accomplished! Dear Lord, we thank You for the plan that You have for each of us. Help us to keep working toward the goal that is set before us. In the Name of Jesus, Amen.